This entry was posted on December 27, 2018 at 8:16 am and is filed under Philosophy, Religion, Science. You can follow any responses to this entry through the RSS 2.0 feed. Both comments and pings are currently closed. 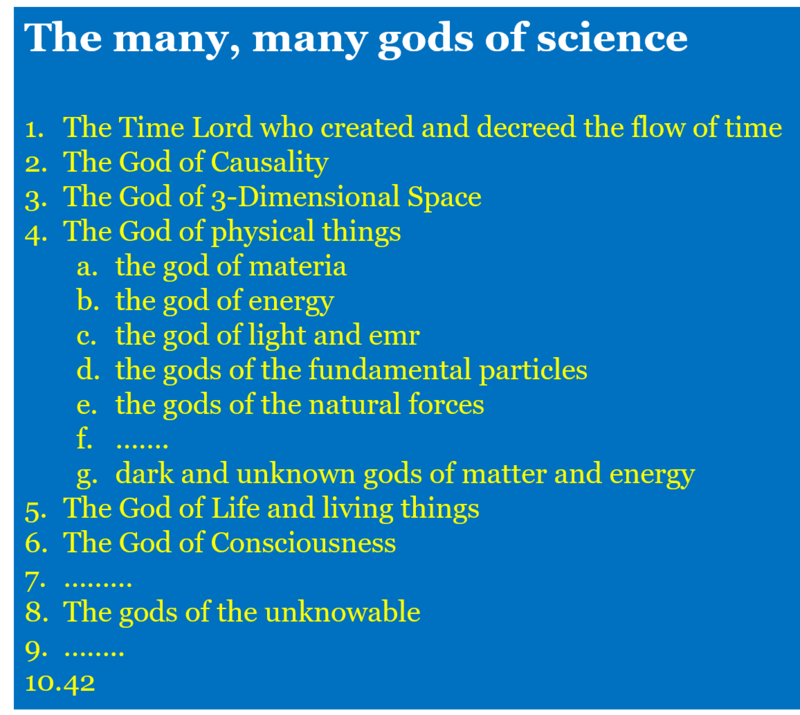 You are misusing the term God by using it to describe the concerns of science and conflating them with the supreme ego. Gods all have human like egos and are anthropocentric terms. Science never characterizes gravity as a person with emotions! The humanisation of gods was not necessary for their invention. But the God of Gravity (or Space-time) is in principle no different to the God invented to explain creation. There is a huge difference between attributing responsibility for creation to a human like Super Ego, than there is to attributing divinity to one of the forces of nature. Science does not imagine gravity to be godlike and independent from reality, but only as a characteristic of reality!